The 1600s were a time of big changes in the Americas, spurred on by a couple groups of people who were seeking a better life in a new land. Two main groups of English settlers colonized America in the 1600s. The secular colonists of the Jamestown Settlements landed off the coast of Virginia in 1607. 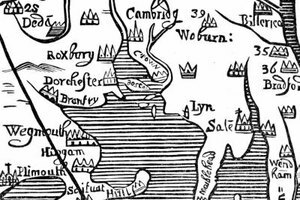 The Virginia Company of London, which was looking to make a profit in America, funded them. 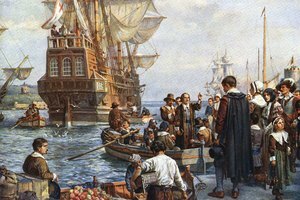 The religious colonists, known as Pilgrims, landed at Plymouth Rock, off the coast of Cape Cod in 1616. They arrived here to escape religious persecution. Less than half of the first Pilgrim families that landed at Plymouth Rock survived the first winter on American soil due to disease and starvation. Fewer than 150 of the roughly 700 Jamestown colonists survived the first three years on American soil. Until both groups of displaced city dwellers learned from the Indians to grow corn and other crops, starvation was a recurring problem. They did manage to take advantage of the seemingly endless supply of forest trees to build their dwellings. The Jamestown colonists initially set up secular governing bodies with governors appointed on behalf of the King of England. 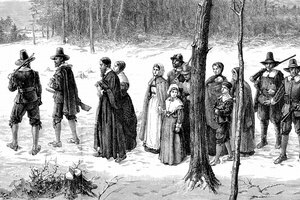 The Pilgrims also separated functions of church and state. They appointed governors to run the court system, with representatives from each town serving as his assistants. Ministers were chosen to lead the Plymouth Church. The majority of colonists provided for their families through farming. In the Jamestown, Virginia, settlement, tobacco became a major cash crop, but it required a lot of land and laborers to harvest. 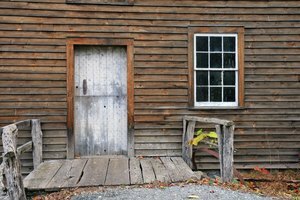 At first, indentured servants were lured from England to work the tobacco fields, but once their seven-year terms were up, they quit to make their own way. Unfortunately, the solution the Virginia colonists came up with was to import black slaves, initially through the Dutch, who had a big part in establishing the slave trade, starting in 1619. The colonies began to thrive by the 1650s. As families grew in size, they became self-sufficient and learned how to make a living from agriculture. The expanding colonist population spread farther into the interior regions of North America. 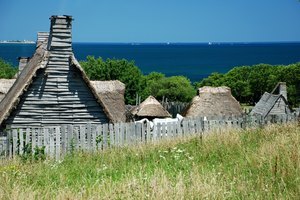 This caused intense friction with their Indian neighbors as English settlements grew and the demand for more wood and land increased. 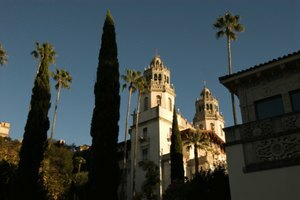 This time period also kicked off the colonists’ vision of the Manifest Destiny: a God-mandated push to conquer the land from the Atlantic to the Pacific. Olivia, Danielle. "Life in the Americas in the 1600s." Synonym, https://classroom.synonym.com/life-in-the-americas-in-the-1600s-12084162.html. 25 June 2018.